I thought it was really cool to have both press release and media invitation printed on a specially commissioned canvas. It was done by an artist from 3 editions - a contemporary online art and design gallery. Don't you think so? In support of Malaysian talents for creativity and innovation, Pernod Richard Malaysia collaborated with artists from 3editions to design four unique artwork pieces as part of their interpretation of ABSOLUT HIBISKUS. May Chan (Iam May) whose style reflects the perfect chaos of an artist that combines bright colours, bold and thin strokes, random yet artistic patterns. 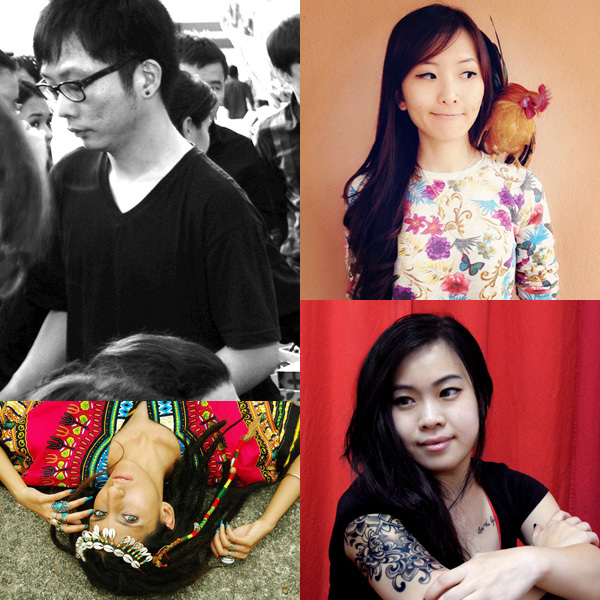 Michelle Lim who works with watercolours, acrylics, inks, pencils, colour pencils and prisma markers. Tan Howe Qin who focuses on experimenting with white, grey & black and playing with electronics. Hyacinthe Kaur whose major influences in her designs have been cultural in nature specifically Native American Indian and Hindu. They claimed that ABSOLUT HIBISKUS is incredibly easy to mix which is perfect for creating complex cocktails and still sensational by adding just one ingredient. 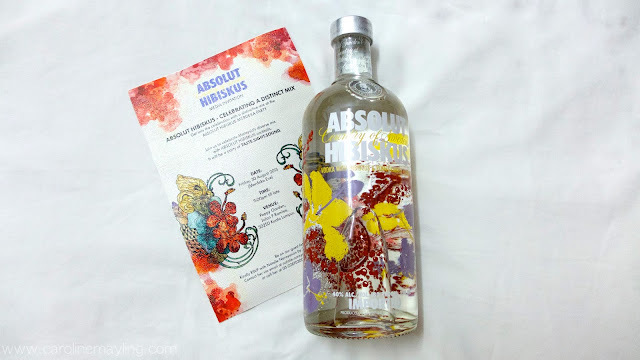 ABSOLUT passionately leads the creation of exceptional cocktails, bringing the cocktail culture in a new unexpected direction. 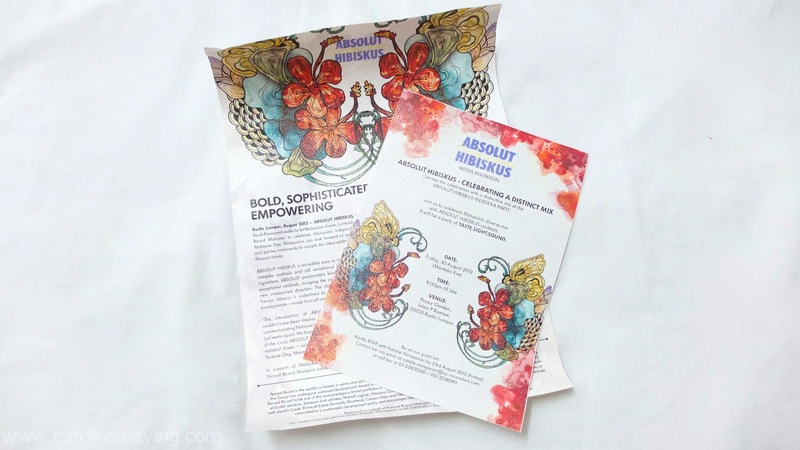 The slightly acidic, berry-flavour hibiscus is underlined by the sweet notes of pomegranate. Yeap, it was made from all natural ingredients. 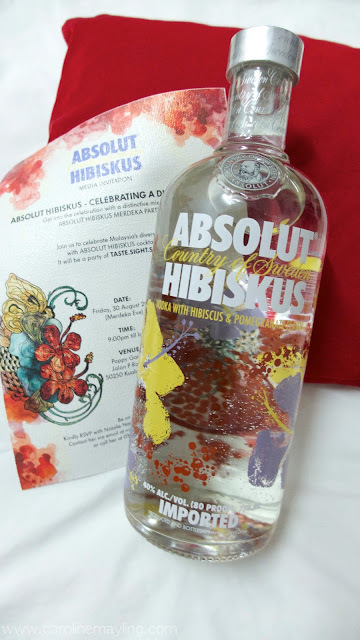 ** ABSOLUT HIBISKUS can be purchased at selected MOT outlets and the ABSOLUT Brand Store in KLIA. 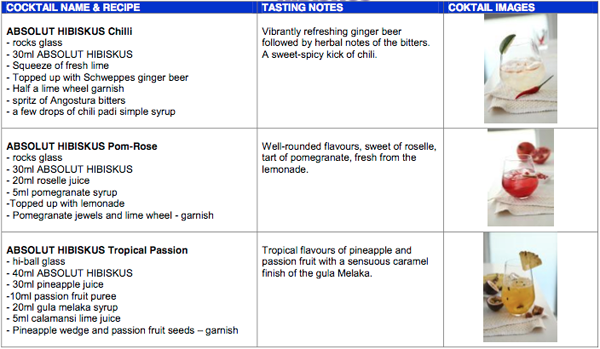 For ABSOLUT HIBISKUS cocktail recipes, visit www.drinkspiration.com or download the Drinkspiration app for iPhone, iPad and Android.